You know its summertime when for every meal all you want to make is BLT sanwiches. For breakfast put an egg on it…experiment with mayos; pesto, chipotle or Rosemary. After venturing to the farmer’s market I bought a basket of local tomatoes and a dill plant to continue my BLT addiction. 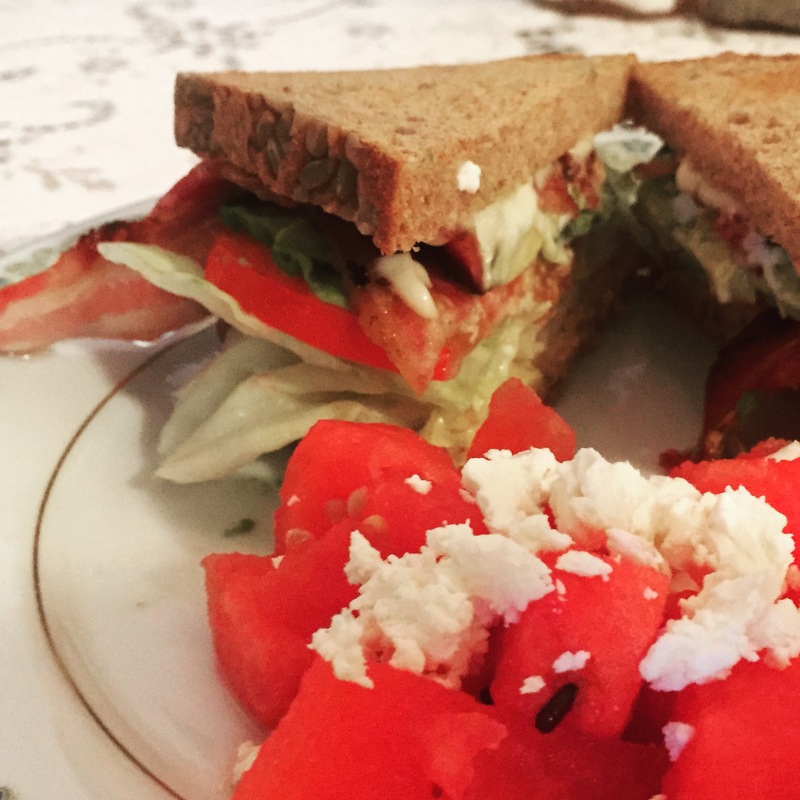 This sandwich — Bacon, lettuce, avocado, and tomato on toasted sunflower seed bread with dill mayo & to accompany it a watermelon-feta salad…….hello summer!